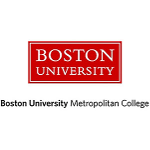 Boston University is now offering certification prep courses for the PMP and ACP exams. For more information about the new ACP Prep course, click HERE. Do you have questions about PMI certifications, testing, or the recertification processes? The Certification Committee is hear to help. Please contact John Morrison, Director of Certifications at dircertifications@pmimassbay.org. For information about the updated PmBoK and testing for PMP, click HERE. See the PMI Certifications chart that summarizes the various professional certifications offered by PMI as of October 02, 2017.